Discussion in 'Fan Fiction' started by Namohysip, Aug 19, 2018. Ahh, a taste of what's to come. Or rather, a taste of what has already been, and how the two of them feel about this chess game they've locked themselves into, forced to use mortals as pawns because they can't act themselves. You know, I actually can't recall if Star ever mentioned how they died, or how they got locked into this game. Still, it's interesting... when neither you nor your adversary can directly make a move against each other, there's no real point to expressing animosity. You both know you're working against each other. Nothing can be said that hasn't been said. The game continues nonetheless. It did feel a tad weird that the narration itself called him Barky, when it didn't appear to be from Star's pov. I guess it did correspond with her being onscreen? But then, that does bring up an interesting question regarding how 3rd person omniscient narration should address characters who get referred to by multiple names throughout a story. I do have a lot of fun with alternating names in narration, (names vs identity is a big theme in my writing) but that's solely in 1st person and 3rd person limited, so I can't say what the best method for omniscient is. I feel like my gut is telling me it would follow how the character sees themselves, but that's just me. Looking forward to the start of Act II proper! You know, I actually can't recall if Star ever mentioned how they died, or how they got locked into this game. You're right, she didn't exactly say how she died or what actually happened there. There will be a small piece of info about that in the next chapter, but "cause of death" is still up in the air. It did feel a tad weird that the narration itself called him Barky, when it didn't appear to be from Star's pov. Alright, I just need a bit more time to drop this chapter. Fiiiinal touches. Wow it's late. Gawen watched silently as Demitri and Mispy recalled their past, or at least a small portion of it. They remembered bits and pieces of their first lives. Perhaps not all of it, but enough to understand exactly what had happened to them, and why they had been reset. Minds scrambled and left to insanity, spending centuries being slowly repaired by Rhys. At some point, Rhys must have spirited them away so they wouldn’t have to fuse ever again. The Flygon-Charizard fusion glanced at the Lucario in question. He was standing as he always had, stoic and silent, but the tension in his body spoke volumes. Compared to Owen alone, Gawen couldn’t sense the extreme details, but it was enough. It was as if the guilt of a hundred lifetimes had concentrated itself into a thick, bitter bile in the pit of Rhys’ stomach. Mispy, next to him, wrapped her many, many vines protectively around her mate, pulling him close. Demitri flinched away—Gawen was certain it was because he was afraid of fusing with her, but she refused to let go. If anything, she held on tighter, pressing her head against his. “Oh—M-Mispy…” Demitri shuddered again, giving in. He fell toward her, squeezing five of her vines close. The remainder wrapped around him until he was pressed against her main body. She craned her neck, brushing her cheek just above his axes. Even if she couldn’t feel pain, she knew that it upset him if she accidentally cut herself on his axes. The muscle memory of how to hug him despite the axes returned to her immediately. Demitri sniffled, relaxing when he was finally enveloped. He remembered her scent. It was always strongly of plant life like this, like grass sliced by his axes. He always liked the smell of cut grass. Now he knew why. Demitri deflated against the monstrous Meganium, still sniffling, but feeling relaxed. Rhys and Manny both subconsciously rubbed at their aura sensors. The former glanced at Gawen, briefly meeting eyes. Gawen glanced around, spotting Star’s faded form hovering just behind Manny. “Gonna head off. Thanks, guys!” Star disappeared into Manny. Rhys made a motion to go after them, but Mispy was already sliding off to their room, carrying Demitri with him. Something held him back, feet planted firmly in the ground. Others in the group dispersed as usual, and Rhys, looking lost, turned and walked to the training grounds. “Hmm…” Gawen saw that while everyone was dispersing, nobody quite paid attention to Rhys, perhaps because the Lucario was very good at leaving without being followed. He always was quiet. But something was bothering him. The Owen half was screaming to follow after, and that was enough to convince the Gahi half to take reluctant steps along. Watching Gawen from behind, Zena opened her mouth to speak—but Gawen was already too focused on Rhys to acknowledge much else. She winced. “Zena, Zena, dear,” Amia said delicately, placing her other hand on her ribbon. “I think Willow picked Gawen,” the fusion said, flashing a resigned smile. They didn’t quite make it to the training grounds. The cave was still tall and wide, making Gawen’s voice echo. Rhys slowly turned around, though he was looking at Gawen’s chest rather than his face. Eventually, those eyes trailed to the wall instead, trying to look casual. It only occurred to Gawen then just how small Rhys was, now. He was at least a head or two shorter than him, fully evolved. After half of him spending almost all of his life as a Trapinch or Vibrava, actually looking down at him was a surreal feeling. It also occurred to Gawen that they had been standing in silence for a while. “I, er,” Owen’s half fumbled. And then more silence flooded in. “Right, yeah. Ain’t a problem,” Gahi’s half said. This time, Gawen shifted his weight, almost mirroring Rhys’ posture. It was impossible to ignore Owen’s dulled Perceive like this, with just one Lucario and everything else motionless enough to satisfy Valle. His neutral tone was characteristic as ever, but his body had tensed considerably. Rhys raised his arms in some kind of protest against an invisible force, but then lowered them, along with his head. “Of course.” His voice was even smaller. Rhys listened without a word. “The Gahi side of me never wanted to say it, but the Owen side ain’t giving me a choice. I figure it’s a good idea to get it out there.” He looked down, trying to make eye contact, but all Rhys was interested in were the glowing mushrooms in the corner of the cave that gave the hall its light. Far in the distance, like a faint echo, Willow screeched at Enet about playing unfairly, and that she was going to shrink her and stomp her into the ground. Then, the panicked voice of ADAM drowned them both out, followed by blaring an alarm signal. That, too, was so faint that it quickly faded into nothing. Rhys brought his paw to his mouth to hide his smile, but a chuckle betrayed him. He looked at Gawen directly for the first time, the Lucario’s expression brimming with a strange light. His paw migrated to his eyes next, tilting his head back. The little chuckles got a bit louder, accented by sniffles. Gawen stepped a bit closer, bringing a hand on his shoulder. Rhys couldn’t see, but he felt it. His body immediately leaned forward, though his free arm didn’t move just yet. Gawen wrapped his wings around the small Lucario, pulling him closer. He had to lean a bit awkwardly to get at a good level with him, but that was okay. Rhys’ laughing eventually died down, replaced by quiet, undignified sniffles. Gawen took care to avoid the spike on his chest, but otherwise kept the Lucario in a full, warm embrace. His undercoat was so matted. He smelled vaguely of Pecha Berries that had long since gone bad, but it was only noticeable when he was right next to him. Little imperfections. Gawen slowly let Rhys go. He resisted at first, so he stayed that way a while longer. The sobbing Lucario eventually relented, releasing the mutant fusion to stand properly. He stretched, cracking his back once. “Apparently so, from chats I’ve had with him,” Rhys said. Gawen still seemed unconvinced, but he nodded anyway. At that moment, the two halves had completely different answers. Gahi wanted to lean forward to speak, while Owen wanted to look back. The result was a Flygon’s head moving forward, while a Charizard’s head pulled back, the original head splitting in a clay-like two before solidifying to normal. The disorientation of two heads trying to control the same body made the partial-fusion fall over, caught only because Rhys was quick enough to break the fall from below. With a tug and some focus, they separated out into two halves. Owen stood up, making sure that his flame was singular and his scales were orange. Gahi made sure his tail wasn’t on fire and his body was sleek. “Finally, yer outta my headspace,” Gahi snorted. “I don’t.” Gahi snorted. “See ya, nerd!” In a green blur, he flew deeper into the caves. Rhys watched, then followed, a noticeable spring in his step. It didn’t take Owen’s Perception to see it. The Charizard smiled at the thought, returning to the rest of Hot Spot. It wasn’t a very long walk, and in no time, he spotted his home, the gentle glow of Alex’s shoulders illuminating the inside of the home a bit more than the rest of the mushroom-lit caverns. “That’s who went training.” Owen laughed, heading to his room. He plopped onto his bed belly-first, tail raised in the air while he rummaged through a little alcove near the back of his room, searching for a good book to read. Something light. Academics were nice, but he wanted something a little more on the entertaining side. Maybe The Steel Chemist—he couldn’t remember a few of the volumes, so it would be worth reading again. Or maybe he could reread Perish Book? That sounded better. He grabbed the comic and placed it delicately at the edge of his bed, but then another thought crossed his mind. He couldn’t read without getting it taken care of first. Gahi was always someone to take action. To step forward without really thinking about it. It was stupid and reckless. But sometimes, was it the right thing to do? Was he overthinking this? Amia and Alex looked at one another over Owen’s shoulders. They both smiled, returning Owen’s gesture as well as they could. Alex leaned in, gently tapping his left cannon on Owen’s back. Far away, watching through the simple window into their kitchen, was a Milotic. And while there was a pang of envy and longing at the sight of Owen having such a close moment with two others… Zena still smiled and retired to her home. The rest of the day passed with little happening. Hecto indeed kept an eye out for any possible movements from Rim, but nothing suggested that she had headed to the Frozen Oceanside, or anywhere else, all through the night. Still, that didn’t keep some in Hot Spot from getting antsy while they waited for Star to talk about any leads on where they could be. “Can’t we just go to the places we know about?” Owen had said. But the reply was simple. They were too exhausted from the fight against their berserk fused form to do much of anything for the day. Instead, they spend the night recovering, and felt refreshed by morning. Gahi and Owen had been in the middle of practicing their fusion technique again. They were getting better at the transition, though separating still took a lot longer than fusing. Demitri and Mispy were a bit more hesitant, more content with spending the day sparring with one another. “At least he took on Owen’s vocabulary,” Demitri mumbled to Mispy. “Kept Gahi’s attitude,” Mispy giggled. “That’s not part of my design, is it?” Gawen said. “Why not?” Gawen crossed his arms, incredulous. “I bet the Dragon Guardian is just cool and you don’t like that.” Gawen growled. “You sure Gahi won’t be a bad influence?” Amia said. This earned an offended look from Gahi’s half, nearly splitting their heads apart; he slammed his hands on either side of his skull, as if that helped to physically keep them in place. “Not funny,” Gawen muttered. “Must be your Type,” Manny said in a half-joke. “Eh, I’ll tag along, too,” Manny said. “You will accompany me.” ADAM turned his head, and only his head, to the Shiftry statue. “I’ll get to that,” Amia said. The forest was an odd, hazy purple color. The trees were dark, and the leaves were a sickly violet. The ground felt cold and sticky, despite nothing actually sticking to their feet. The Dungeon itself was not a labyrinth like the normal variety they were used to; instead, it seemed to be by the Poison Guardian’s personal design, a simple, flat, and open field of trees. As they passed by, a hazy Pidgey watched them from above, flying away when they got too close. “O-okay, Owen, you made your point,” Amia said. “Feh, worse ‘n Rhys,” Gahi said. Enet nodded. Uneasy, the Zoroark took in their surroundings. They had been going through a forest, and the last river they passed was quite clear. But now it was starting to smell a bit different, and while she at first thought they had passed by a river, it was actually a thick stream of bright, purple sludge, the consistency of flowing mud. Amia flicked her hand against a tree trunk; purple goo spattered against the wood. “Poison Guardian indeed—oh, where’s my Pecha Scarf, I’m just going to mmmnfff…” Amia tied the scarf around her face. “Stinky,” Enet complained, grabbing her own scarf. “Good thing I prepared for this…” Owen said, taking over the body. He grabbed a scarf and wrapped one around himself. There was a spare in the bag in case they decided to separate. They weren’t even sure where the goo came from—inspecting the trees above revealed nothing. But they were certain that the Poison Orb was here. They felt the Mystic aura getting stronger, corresponding directly to the prevalent, purple fog that polluted the atmosphere. But Owen sensed another presence nearby that didn’t get stronger nor weaker. Were they being followed? It felt… vaguely familiar. It was recent, compared to his long, long life—but it still felt distant. Probably a reset before his current memories, or two, or maybe three. Someone he met in a previous ‘life,’ in a set of scattered memories. “Is what, dear?” Amia asked. “Frighten?” Owen asked. “What, I’m scary er somethin’?” Gahi asked. “Big and strong and scary.” Enet nodded. After a bit of focus, Gahi stepped forward from the malleable body of the fusion; Owen closed up behind Gahi, rubbing his chest to make sure everything was where it should have been. He didn’t feel as empty. Maybe he was having an easier time fusing and parting, both mentally and physically, now that they were more in sync—or perhaps because he was starting to get sick of sharing a mind with Gahi. “What d’ya see?” Gahi asked. “Um, Owen, who is this?” Amia asked. “Smells mean,” Enet said, growling. Owen held his chest in a similar way that Amia does, with his right arm against his heart. “B-but I was trying to help! You can’t live this dangerous life! There aren’t enough… resources to keep living that way!” Owen looked Aerodactyl over, realizing that he seemed skinnier than an Aerodactyl should be. He could see his ribs pressing against his skin, and his legs looked like they were barely able to hold him up. Enet hissed, fur on end. “That’s not right, either, y’know!” Owen said. “What, scared?” Aerodactyl said, maintaining his stance, but it didn’t take Perception to see his trembling form. He was fueled by pride alone. “Ngh… then we’ll beat ‘im up gently,” Gahi muttered. “Hmph…” Enet didn’t fight it. She took a few steps back; her foot landed in more of that purple slime. She winced and kicked away; it stuck between her paws. She sat on a nearby rock, picking away at the goop with her claws. “I’m a lot stronger than before, you know,” Aerodactyl said. “Don’t think this’ll be some easy repeat compared to last time!” He slashed at the air, making a small shockwave that nearly knocked him off balance. For some reason, this made Aerodactyl’s face screw up into some strange mixture of anger and desperation. He opened wide and chucked a Rock Blast straight toward Owen. The Charizard ducked—the blast hit Gahi, standing behind him, instead. 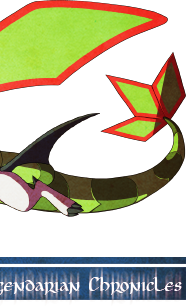 The three consecutive blasts broke open against the Flygon’s head. “Ow,” he muttered, rubbing the small wound. “E-eh? !” he said. “But—but the—” He looked down. Owen’s legs had a small tint of green; vines had covered the pitfall he had set. “Where’d those come from?! Y-you—got lucky!” Aerodactyl tripped on another vine and fell backward. His wings beat frantically to stand up, but by then, Owen was right in front. In a panic, Aerodactyl lunged forward. His teeth sank into Owen’s arm—powerful jaws that could split logs in half, normally. And yet… when Aerodactyl crunched down, nothing broke. No blood spilled; not a scale got dented. Owen’s body simply resisted the attack—bending against the teeth, yet not breaking. The aura behind his strike was gone. All the while, he gnawed as hard as he could against Owen, but it was as if he was immortal. Even with his strength, even if he was a little weak because of the miasma he’d been living in for so long, how could he be doing almost no damage against this Charizard? Owen felt his disbelief, and he saw the subtle blotches of poison that spread beneath his skin. Aerodactyl let go and fired toward Owen, point blank, with a Rock Blast. Owen felt this one—he winced, but he still took the blow. A small blemish on his scales was left behind when the five consecutive blasts connected. “W-well, I mean…” Owen, caught off guard, glanced away for only a second. That was all Aerodactyl needed. He jumped away with a single wingbeat, panting. “This… this isn’t over!” Aerodactyl searched for a way out; this deep, the forest looked the same in all directions. “Hey, you ain’t gonna get away! I’m faster’n you’ll ever be!” Gahi threatened, taking a single, quick step forward. His foot landed right in a large puddle of purple sludge. “Aw, c’mon!” he shouted, stepping away. He glanced at Owen. The Charizard had it covered. Disgruntled, he sat next to Enet and picked at his foot with her. A long silence filled the air just then, like Aerodactyl couldn’t find the words. He shook his head, locking eyes with Owen. The Charizard almost flinched—there was a strange… emptiness in them, like the desperate eyes of a hungry feral. “A-Aero—it’s okay!” Owen scrambled toward him, digging through his bag as if that would help. “N-no! You get away from me!” he said, swinging his other wing. The melting was advancing rapidly—he couldn’t move with his legs anymore. Even his tail had dissolved; his upper half remained, just his one wing and head. He dragged what remained of his body across the ground to keep running. He closed his eyes tight. He had an idea. He focused on his power a bit more—deep within him, that divine energy held within that Orb. He channeled it from those depths and pushed it into his claws, and then into the scarf. It was all he had left to try. All he was thinking about was trying to save this outlaw’s life. He wasn’t going to forget that fearful look in his eyes. What a horrible way to die. He refused to let it happen. Stop it—make it stop. Owen commanded it to stop. And the melting… stopped. The Pecha Scarf was glowing. Not even Owen could believe it at first. With his heart racing, Owen checked to see if Aerodactyl was alive. It was hard to tell; the only indication was that he blinked. He wrapped the scarf around the stump that was Aerodactyl’s neck and turned his head. “A-are… are you okay?” he said. “Is—is that gonna happen to me?” Gahi said. “H-hey, wait a second—ain’t that mine! ?” he shouted, pointing at the scarf. “I—I feel like this is a little more important, Gahi!” Owen said. “Ngh… yeah, I guess,” he relented. Gahi sighed. He looked at his foot. “…How come that never happened to me?” he said. “I… I dunno. I feel fine. Am I in one piece?” he looked at his tail, then his wings. All fine. “He’s not the best listener,” Owen whispered. And so, the five advanced through Dark Mist Swamp. “…Your name is Owen,” Aerodactyl said. “Yeah. Um—what’s your name?” Owen asked. Owen nibbled at his tongue but said nothing. Ah, you weren't kidding when you said this chapter was a long one! In a way, it almost felt like two chapters in one, what with the first half having such a different tone than the second half. But I appreciate Act II kick-starting the plot right away rather than waiting until next chapter. I liked the atmosphere you set up with the poison forest, as it felt successfully weird and unsettling long before any body-melting happened. And I totally didn't expect Aerodactyl to return! I did enjoy the way you used him to kinda flip the script on the way the PMD games are like "outlaws are bad Pokemon who... uh, like being bad I guess" by bringing in heavier aspects like systemic inequality. Pitting Owen's naively well-meaning but unhelpful bootstraps ideology against Aerodactyl's destructive, self-sabotaging cynicism. I kind of had to chuckle at Aero picking a fight with him, like "oh dear, this is really not going to be much of a fight." And I think you did a good job making it feel more sad than anything. And, of course, the body-melting bit was nicely horrifying (really though, not even a little bit of pain? ;P) Weird as it is to say, I think Jerry being turned into a head and carried around by Owen might just be a bit of a turning point for the better. Ah, you weren't kidding when you said this chapter was a long one! In a way, it almost felt like two chapters in one, what with the first half having such a different tone than the second half. Yeah, in hindsight, this chapter probably could've been split into two teeny chapters, but... ehh... then they're too smaaaall, and it helped just wrap things up before moving on. The first half used to be a lot shorter before I took on some feedback from previous drafts on scenes that could have happened, etc. to give folks their moments. Well, aren't you a cynic~ What if this is just a good moment of respite for them to get everything working out for them, huh? ...Okay, fine, we're only at the start of Act II, so of course there will be trouble. Still! Let's just give Owen and Rhys their moment. They need it. I liked the atmosphere you set up with the poison forest, as it felt successfully weird and unsettling long before any body-melting happened. Oh, I'm glad! I was a bit worried about that, so at least it had an effect for someone so the melty bit didn't come too out of the blue. I've got beginning-of-act privileges right now, so I can throw a few random curveballs as setup, but hey. Best to keep it nice and built up. And I totally didn't expect Aerodactyl to return! I was trying. So. Hard. To keep this under wraps. It's not a huge thing in the grand scheme of things, kinda, but "Jerry" and who he is is sort of... I don't know. Something I want to keep unknown to Act I readers. I did enjoy the way you used him to kinda flip the script on the way the PMD games are like "outlaws are bad Pokemon who... uh, like being bad I guess" by bringing in heavier aspects like systemic inequality. Pitting Owen's naively well-meaning but unhelpful bootstraps ideology against Aerodactyl's destructive, self-sabotaging cynicism. ...REALLY catching onto that quickly, aren't you? Guess I made it more obvious than I thought. Still, you're right. We're taking a look at the other side of Kilo, after that idyllic view that Owen has been exposed to all this time. Soon. Have to do a few quick things (like stream) before I upload the next part. See you then! The northwestern corner of the world was covered in a perpetual, thick layer of ice. The white field was dotted with black rocks and sloping hills of snow and ice. The ground wasn’t stable, and there were a few incidents early on where Valle had fallen into thinner portions of the ice and had to be hauled out before he sank to the bottom. With some levitation, they were able to manage their way through the worst of it—as Mystics, the cold didn’t bother them too much at first. But the deeper they went into this icy territory, the more it seemed that their Mystic powers lost their effect. The cold’s horrible fingers crept into Zena and Willow the most. “I can’t f-feel my… e-everything…!” Willow said. “I guess then you’d be a pretty Milotic ice sculpture, a-at l-least,” Willow said. “He is nice…” Zena hummed. “Hm?” Zena blinked, looking back at her. Indeed, it seemed like the ice in front of them was clear, the water below a lot darker. Valle levitated off of the ground, gently floating above the frozen floor. “Yeah! Um… but what are we looking for?” Willow asked. “M-maybe,” Willow said. While her belly was nice and warm thanks to ADAM’s heat, ice crystals formed on the fur on her back. The wind howled around them; this frozen tundra wanted no life to advance any further. Perhaps even Ice Types would struggle in such low temperatures. If it was this cold for Mystics, how cold was it for a normal Pokémon? Willow stopped moving, frozen precisely on top of ADAM’s head, expression caught in frigid desperation. She carefully brought her ribbons over her body, delicately picking her up even as icicles formed on her pink brows, pulling her up. The Joltik was completely stiff. “That isn’t good.” Zena checked her aura; it was still there, thankfully. Even without Mysticism, she supposed Pokémon were durable enough to withstand a little cold. More worrying was the fact that if they didn’t hurry, the same thing was going to happen to them. “I think I’ll just…” She carefully wedged the frozen, yellow fuzz between ADAM’s head and shoulders. But then, before they decided to fall back, the cold let up. It was still freezing to a mortal, but to a Mystic, they could finally resist the bitter frost. They first tried to discern any sort of difference between the snow that had fallen before compared to now, but between the total whiteout conditions and the howling wind, nothing had changed. Just the Mystic disruption that nearly froze them over. “Thank Arceus.” Zena sighed. “Let’s keep going.” If anything, perhaps that meant the Ice Guardian accepted them. “Mmm…” Willow shook off some water from her body before it re-froze again and hopped off of ADAM’s head, landing on Valle next. He protested halfheartedly, but at this point gave up on the tiny Joltik hitching a ride on the others. She offered to chip away at the layer of ice that had formed on his stone body, using her little legs as ice picks. He accepted this as payment. “Hm,” Zena said. She wanted to remark that Willow was one of the least deadly of the group—but recalled her little talent of shrinking her opponents. Perhaps she could be trouble if they upset her. “You were lonely?” Willow asked. “There appears to be an obstacle ahead,” Valle said. Zena squinted at the obstruction. It appeared to be transparent, but something was inside, too. A silhouette darkened the core of the large lump of clear ice. At least, she imagined it was clear; there was a layer of frosty snow that made it impossible to see through it clearly. “What is…?” she said. Was it some sort of rock with a thick layer of frost? Or…? Indeed, it was a large, orange Pokémon with a brown shell, frozen in ice. Based on the aura strength, he wasn’t conscious, and based on its compact shape, he was hiding in his shell. A deep, metallic voice filled the air this time. They turned and saw a remarkable sight—something entirely see-through, made of the very same sort of ice that surrounded the Torkoal, like glass. Zena realized that Valle might have, in some ways, made a new friend—though, unlike Valle, this Pokémon moved. An Aggron made entirely of clear, see-through ice, covered in a thin layer of blizzard snow. She had an odd accent. While not broken, there was a sort of tough disconnectedness about the way she spoke, as if the nouns and adjectives and verbs were being placed next to one another forcibly, rather than in a flowing rhythm. “No, Rhys is no longer a Hunter,” Zena said. “I could Promise to you that I did not just lie,” Zena offered. “The Joltik will speak with grace.” The Aggron glared, her intense, icy eyes threatening to freeze Willow over for a second time. “Eep—!” She hopped onto ADAM again and hid in the gap between his head and torso. “I believe he is harmless,” Zena said. “Y-you… liked that?” Zena winced. What sort of Pokémon could enjoy that horrible loneliness, and crave more of it? Zena recalled many long nights cursing her existence within those damp caverns, thrashing about in frustration, yet also her fear of dying. She had stagnated in there, until Owen put his feet into her lake. That was when it all changed… Zena shook her head. The cold must have been getting to her. “W-wait—ADAM, can you tell what it is?” Zena asked. “…An Espurr… is the Hunter,” ADAM said. “W-we will help,” Zena said. It didn’t take very long for Rim to arrive; behind her was a set of three synthetic Pokémon. 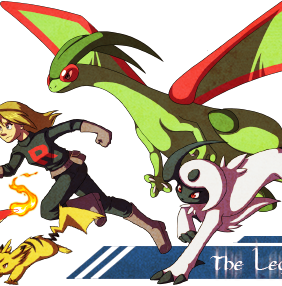 One was a Tauros with tails that were literally on fire; the next was an icy Ninetales with luminous, white fur; the final one was a Roserade with frost that fell from its petals, rather than poison. Rim herself was bundled up in thick layers of cloth such that only her big eyes were visible, floating above the three mutants like a haunted Tangela. “For them to get this far, they may be strong,” Step observed. “You don’t actually squish your victims, do you?” Zena said. Rim looked down but shook her head. “…Well. That’s good, at least,” said the Milotic. The wind howled; the Espurr shivered and desperately rubbed her paws together, breathing into them. Frost dotted the outside of her layers of scarves. The gray feline puffed again. Zena felt a pang of empathy for her. Neither of them were in a good condition to fight. “Have you… d…d-decided?” Rim asked, her faint voice even more muffled beneath her cloth. It was a miracle that Step had heard her at all. Rim frowned, but then pointed a paw forward, though it was hard to tell at first. But that gesture was all that was needed for the three mutants to rush Step at once. The time for talk was over, and Rim planned to harvest Step’s Orb instead. The icy Aggron opened her mouth and fired a chilling wave of frost toward the trio; the blast was so potent that the Roserade had to immediately fall back. The other two remained. Tauros rushed over the ice and rammed directly into Step, tails blazing with enough heat that the snow around him melted, creating a crater with steamy water at the bottom. Step grunted, holding her ground as much as she could, but at the same time, struggled to stay completely in place. “How powerful…!” she muttered. “But… this will be… not enough!” She grabbed the Tauros by the horns and twisted her arms until it was on its side. She didn’t realize the third Synthetic had been preparing a Moonblast all this time. She took the blow directly, falling down with Tauros. “Guess that’s our turn!” Willow announced. “Of course,” Zena said. She opened with a Hydro Pump at the Tauros while it was down. Willow jumped in the air and tried to blast some of her pink mist at the Ninetales, but she was too fast. She avoided the mist easily; Rim swept away the mist with a routine Psychic wave. Willow screamed angrily. “Fully charged,” ADAM announced. He fired a Hyper Beam at the Ninetales while she was in the air; unable to redirect her trajectory, the icy Pokémon was blasted backwards and against a soft barrier put up by Rim. She coughed from the blow and struggled on her feet. Valle controlled many icy rocks to tumble their way, but a Psychic deflected the attack entirely. The three synthetic Pokémon slammed into one another and meshed into a single being—one with the base of a Tauros with a bright glow, the color and flaming tails of a Ninetales, and thorns and petals adorning its body like scales. The fusion was in total control—not berserk, not even shaking. Rim held her paw forward; the fusion nodded and rushed them. Valle fired another volley of rocks; Zena blasted them with a Hydro Pump; Willow launched a Moonblast; ADAM didn’t have time to fire another Hyper Beam. Instead, he buzzed with thought, watching the attack, in addition to Step’s Ice Beam, and waited to see how the fusion would react. All four attacks hit it at the same time—it roared in pain and stumbled in its dash, but still rumbled forward, even after taking so many hits. They didn’t have time to evade the strike. There was no telling how powerful their attacks would actually be, considering how much damage it could take and still keep coming. “I am still fully capable of fighting!” Step said. Between glacial uprisings, Tauros launched a giant cloud of fire toward Step. She staggered back, holding her arms up as a pathetic shield, even though those would surely melt against the incoming fire. Yet, the blast never connected. Instead, she opened her eyes and saw three Ice spirits in front of her—three Kommo-o. “Ow,” said one of them, bursting into an ember that returned to Step. Ra and his daughter looked forward too late; a second Fire Blast incinerated them, their embers returning to Step. She slammed her fist into the ground, creating another wall of ice, but flames from the Ice-Fire Tauros melted through the layers rapidly. “The Badge is ready!” ADAM said. “Then hurry!” Zena blasted the ice with water, hoping to slow down the fire’s advance. In an instant, the group, and everyone within that range, vanished in a flash of light. The fusion skidded to a stop, slipping on the ice. Rim bit at her lower lip anxiously. The frozen Hunter, Elder, had vanished with them. The hunk of ice that he had been suspended in was gone, leaving nothing but a hole for fresh snow to fill. “Toss him in the lava. He will be fine.” Step shrugged. “But he’ll melt!” Willow squeaked. “But he’ll… drown…?” Willow protested, less enthusiastic. Step, and the frozen Hunter, and the four other Guardians all stood in the middle of Hot Spot square, the first to return from their missions. They were all gathered around the Hunter, still in a block of ice, withdrawn in his shell. Far away, beyond the glow of the mushrooms, was the orange glow of a lava river. “Rocks in liquid motion disturb me,” Valle stated. She stepped back—Willow and ADAM cleared the way. Valle remained where he stood, though he was already out of the way and in his usual spot in Hot Spot’s central square. Step sent from her chest a single aura ember. It grew and solidified into an icy Kommo-o, taking on a battle stance toward the ice. Zena tensed, quickly bringing up her ribbons. “Are you sure this is a—"
The Kommo-o slammed his chest, clanging his scales. Dragon-enhanced ripples of sound reverberated across the ice, leaving countless small cracks and fissures behind. “Hmph,” Ra said, crossing his arms. “It was sloppy, but that will do.” He looked back to Step, nodding. She nodded back, withdrawing the spirit back into her realm. She held her chest briefly, knocking her claws against her icy armor. “It was just fine,” she mumbled to herself. Pink mist formed around her body. After a few seconds, the hunk of ice—and the Torkoal inside—shrank down until it was no larger than Willow herself. She crawled toward the block of ice and prodded at the many cracks that Ra left behind, pulling the walls apart. With him in his shell, it was very easy to free him safely. “Mnnn! I can take you on… but I’m gonna do this because I’m being nice.” Willow stared at the ice block a bit longer, waving her tiny legs at it, and then jumped away, landing skillfully on top of ADAM’s head. “The bag? I froze it and discarded it into the ice,” Step said. “No deception readings detected,” ADAM said. “He moves very little,” Valle remarked. “I dunno, but Owen will!” Willow said. “Owen. Who is this Owen?” Step said. Zena inhaled sharply, but said nothing.